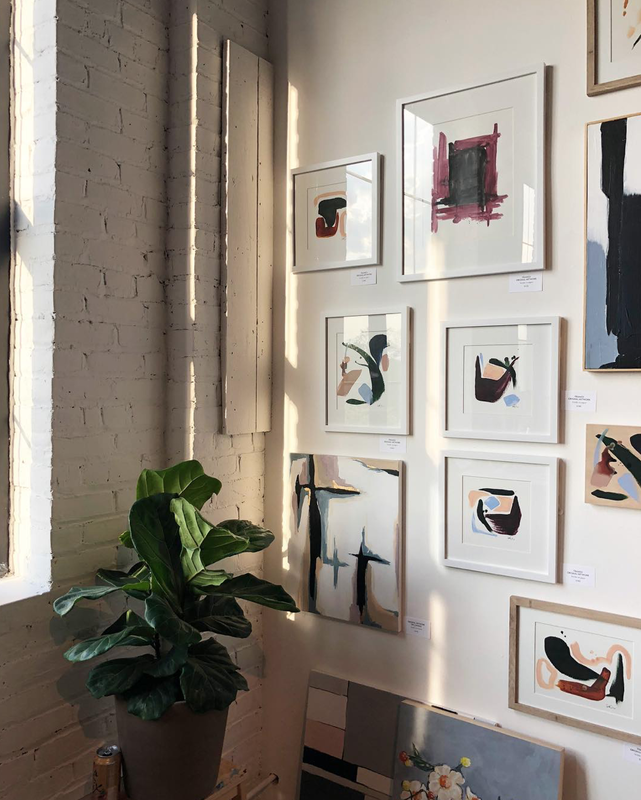 I fell in love with the work of Minneapolis-based artist, painter, and illustrator Cait Courneya this past spring when I came across her studio by accident during the NorthEast Minneapolis’ Art-a-Whirl. Most of my readers are from Minneapolis and are familiar with this once-a-year harbinger of warmer weather and opportunities to drink beer outside, but to my friends in Austin and LA, it's basically like your version of the East Austin Studio Tour or the Echo Park Craft Fair, but like, more spread out and the art spans the gamut from the very cool and trendy to the very "um, what is that?" Most of it is cool though. And it's a great opportunity to drink outside, see some live music for free, and get your freakin' steps in puttering around the neighborhood in a cheese curd-induced stupor. 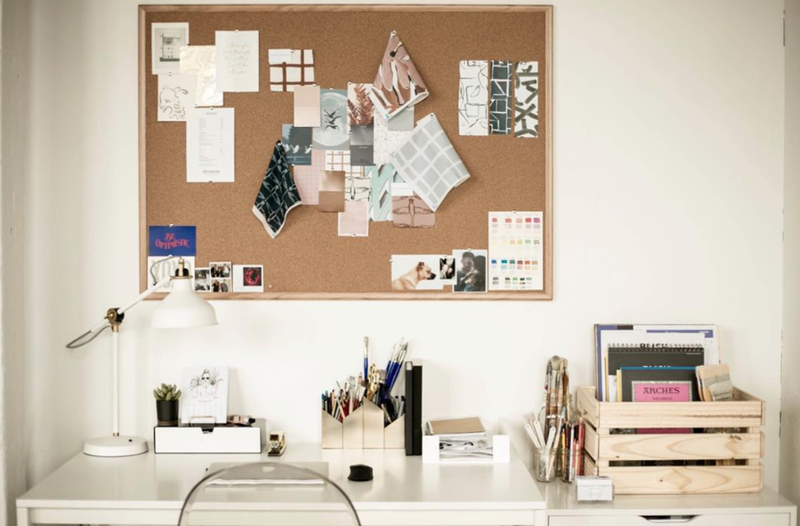 Cait's Inspiration Board. Photo Courtesy of Rachel Leigh. I couldn't stay super long because if I remember we had somewhere else to go, but I took her business card and it's still somewhere on my desk. I love her work because it is at once both sweet and cool, abstract yet totally understandable. In fact, some of my favorite works are her abstract series and her simple studies of shape, line, and stroke. They are like prozac for the eyes. And I love the colors she uses. They're great, and she has an innate sensibility for mixing and matching different tonalities and concocting pleasing palettes I don't often see other people putting together. 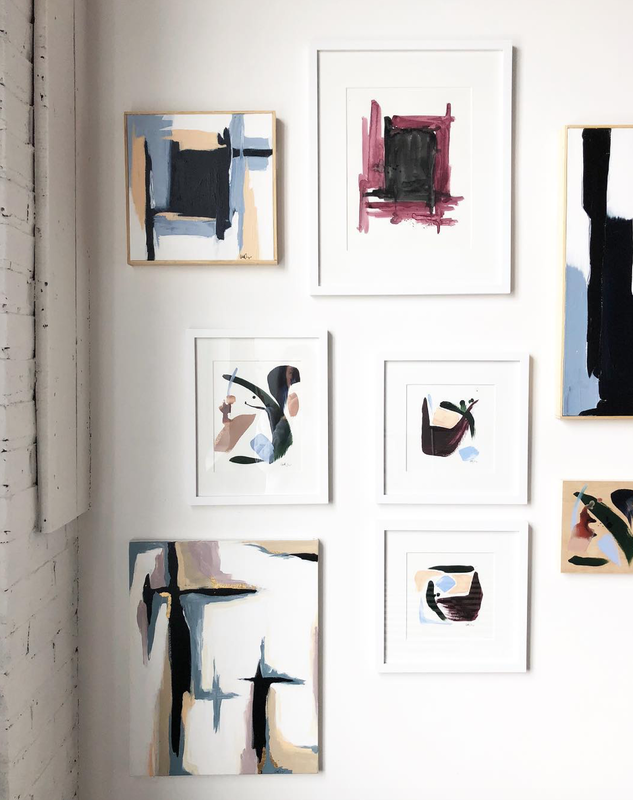 Because of the fact that her color schemes and subjects seem to follow the arc of macro design and fashion trends, along with the fact that her studio was ascetically white and clean, I had a hunch that within her heart beat the heart of a designer. And I was right! When I asked her about her background she mentioned that she had gone to FIDM for fashion design and had worked in the Bridal industry. In addition to her illustrations and paintings, Cait has done some cool collaborations over the past few years, one of my favorites being surface designs for Solid Manufacturing Co. For the heritage leather goods brand, Cait lent her calligraphic hand to surface designs on a variety of their natural vegetable-tanned leather products. Perhaps due to her Fashion Design background, Cait's designs and illustrative works can now be found on a variety of textile products, which you can purchase on her site. Her pillows, gift wrap, scarves, and tea towels are all particularly beautiful. 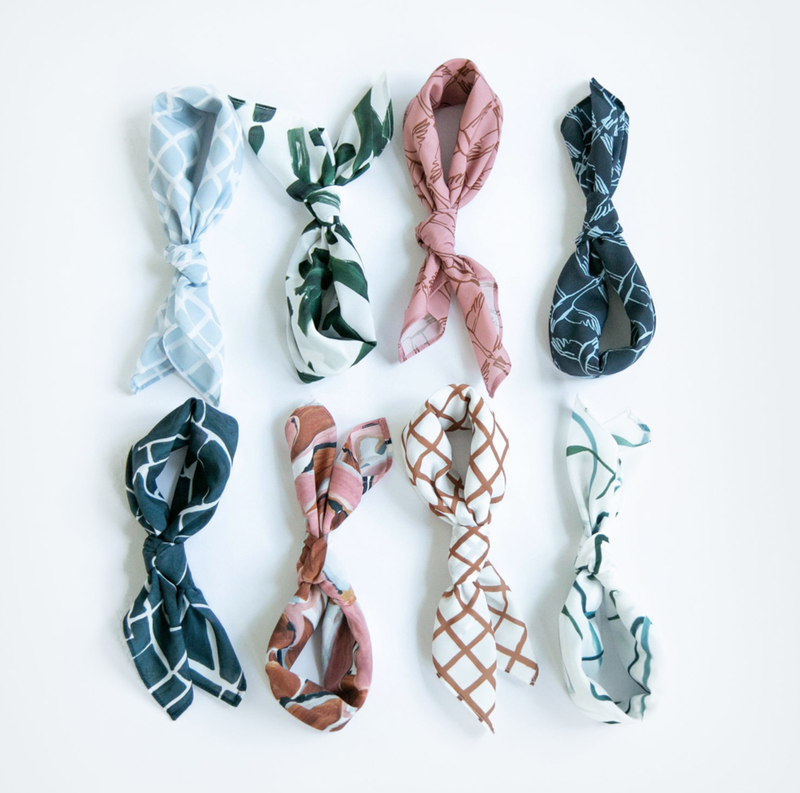 Wether you’re looking to add some great prints to your home or brighten up your neck or stove, Cait's simple and elegant patterns and designs will definitely add some artistry and elegance to your pied-à-terre. I look forward to seeing what Cait Courneya launches next. 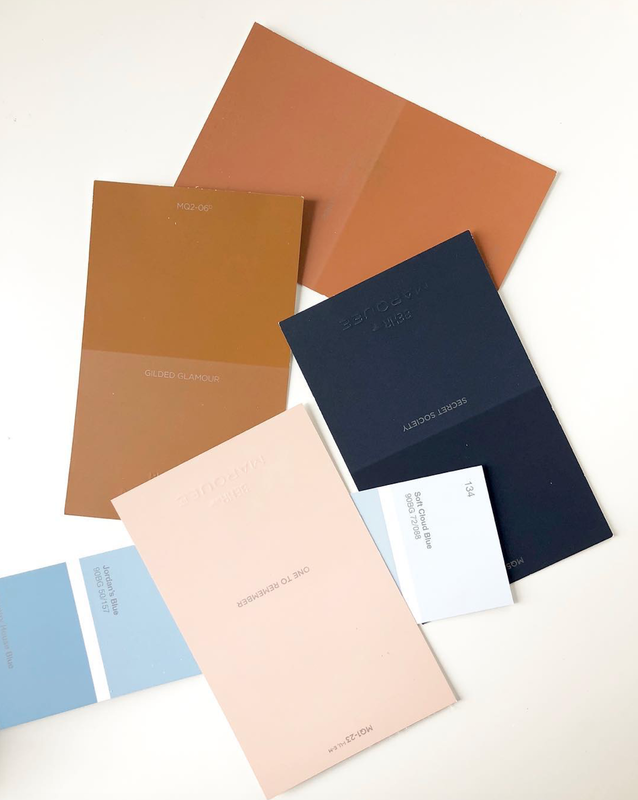 From the looks of her Instagram Feed (which I adore following and you will too) Cait will be launching her new fall surface design collection very soon, and I can’t wait to see what kind of beautiful, yummy color goodness she releases next. The collection is yet-to-be announced, but I am banking on the effect that we can expect to see a continuation of her explorations in surface, pattern, and textile design with further foray into the home decor space. Perhaps soon we can even expect to see her lovely designs on by-the-yard and to-the-trade fabrics? One can only hope. Either way, I am surely going to plan on leaving enough time at next year's Art-A-Whirl to spend more time in her studio admiring her work and picking up many a beautiful thing for myself.